Periodontal (gum) disease is mainly caused by bacterial plaque built up on tooth surfaces due to ineffective oral hygiene. For most cases, treatment that includes plaque and calculus (tartar or calcified plaque) removal and renewed daily hygiene is highly effective in stopping the disease and restoring health to affected gum tissues. However, you might have additional health factors that may make it more difficult to bring the disease under control. If your case is extreme, even the most in-depth treatment may only buy time before some or all of your teeth are eventually lost. Genetics. Because of your genetic makeup, you could have a low resistance to gum disease and are more susceptible to it than other people. Additionally, if you have thin gum tissues, also an inherited trait, you could be more prone to receding gums as a result of gum disease. Certain bacteria. Our mouths are home to millions of bacteria derived from hundreds of strains, of which only a few are responsible for gum disease. It’s possible your body’s immune system may find it difficult to control a particular disease-causing strain, regardless of your diligence in oral care. Stress. Chronic stress, brought on by difficult life situations or experiences, can have a harmful effect on your body’s immune system and cause you to be more susceptible to gum disease. Studies have shown that as stress levels increase the breakdown of gum tissues (along with their detachment from teeth) may also increase. Disease advancement. 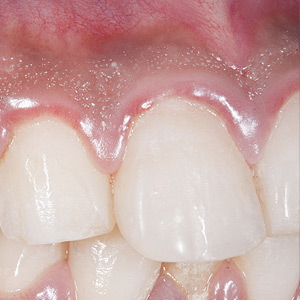 Gum disease can be an aggressive infection that can gain a foothold well before diagnosis. It’s possible, then, that by the time we begin intervention the disease has already caused a great deal of damage. While we may be able to repair much of it, it’s possible some teeth may not be salvageable. While you can’t change genetic makeup or bacterial sensitivity, you can slow the disease progression and extend the life of your teeth with consistent daily hygiene, regular cleanings and checkups, and watching for bleeding, swollen gums and other signs of disease. Although these additional risk factors may make it difficult to save your teeth in the long-run, you may be able to gain enough time to prepare emotionally and financially for dental implants or a similar restoration.